A stunning venue for your event from November to May, that can accommodate up to 600 people. 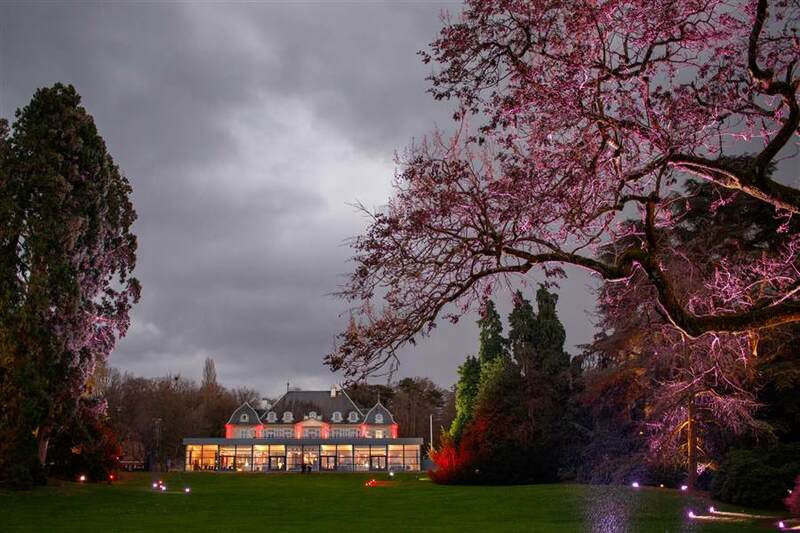 The tent-veranda of the Park of Eaux-Vives: a stunning new venue for your events. Overlooking the lake, transparent, elegant and heated, the new tent-veranda of the Parc des Eaux-Vives takes your Geneva events to the next level. From November to May, create the sensation in a spectacular setting for 300 seated or 600 standing guests. And up to 500 seats and 1'000 standing by adding the restaurant main building. Book a unique experience now!